The Kawasaki Versys-X 300 can do it all, and isn’t that far behind its big brother, the Versys 650. You don’t have to make allowances for it’s a lower capacity. It can tour, commute, and even take on some light off-road. The riding position is roomy, the clocks - with analogue rev counter - are neat and you've actually got some power to play with. You can cruise comfortably at 80mph and can even increase that to 90mph with no real issues. Sure, the revs are high and it’s a little buzzy, but your fillings aren’t being shaken loose. It’s only really as you pile on the miles that things start to feel a little less rosy. The seat is too hard, which is probably due to Kawasaki making the padding thin to lower the seat height. The handling is a pleasant surprise, too. It’s stable and can be thrown around with real confidence on the road. The fairly average Trail Winner tyres are the only limiting factor, but they cope well enough. In town the clutch is light – one of the lightest I’ve ever tested – and the gearbox feels light but positive. The Versys-X 300 proves you don’t have to make dramatic compromises just because it’s a smaller, cheaper motorcycle. How does it cope off-road? This is a bit of a departure from the Versys tradition of cast 17in front and rear wheels and is the reason the 300 gets an X after its name. Why the change? 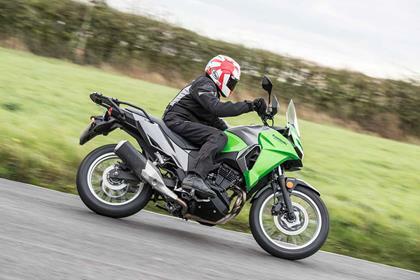 Kawasaki wanted to give the Versys some light off-road ability, not only to please the Far Eastern market but also to tempt UK riders who may fancy attacking the odd green lane. The Versys is surprisingly good off-road. The tall riding position allows you to stand up and you can get your weight over the 19in front wheel, which boosts confidence. The power is linear, traction isn’t bad and it doesn’t feel like it’s about to fall apart. 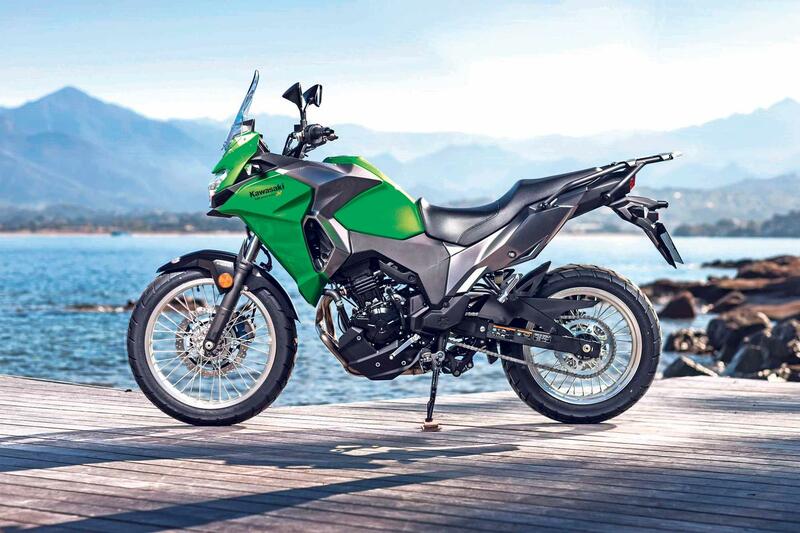 The specs claim the Versys has a tall 845mm seat height due to added ground clearance, but don’t let this put you off if you are short of leg, as the narrowness of the parallel twin’s waist makes it feel considerably lower. 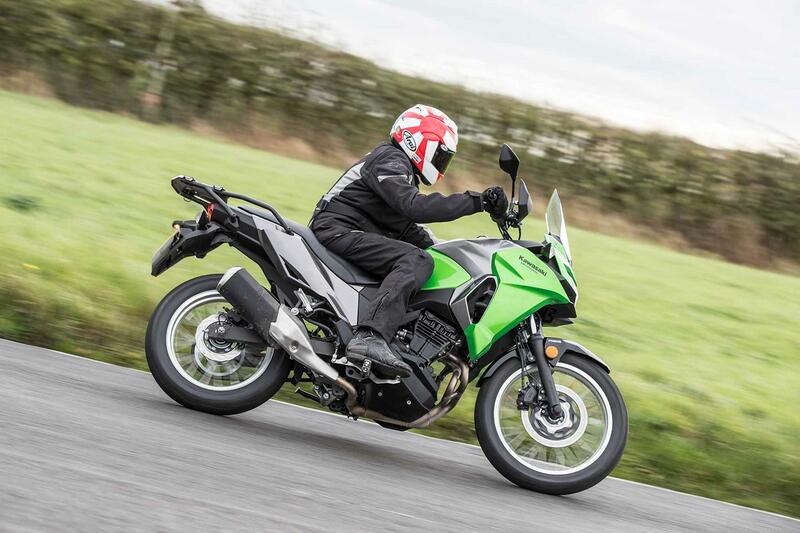 The Versys-X 300 uses the same 296cc parallel twin motor as the Ninja 300 and Z300 (although it has been made Euro4-compliant through new fuel mapping and a bigger cat), and houses it in a pleasingly large frame. 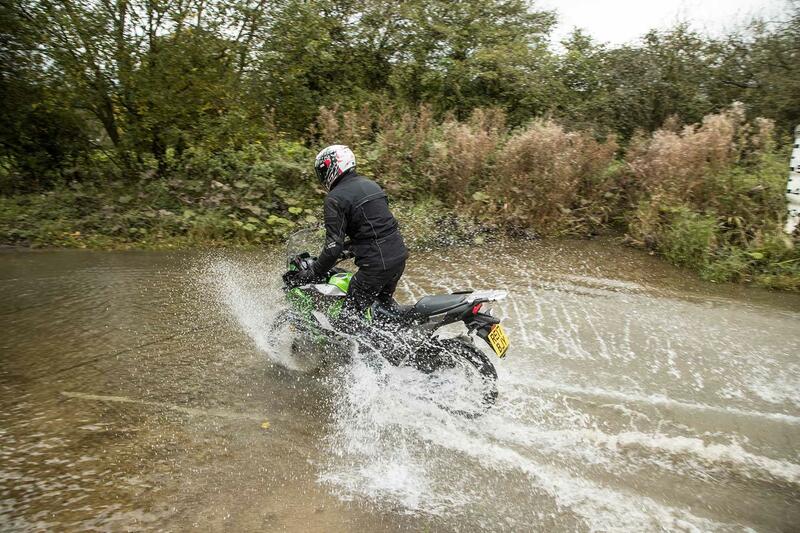 Kawasaki claim can cover over 200 miles thanks to 66mpg and a 17-litre tank, too. Compared to the Ninja 300, the Versys has a three-teeth larger rear sprocket (46 teeth) with the same internal gearbox ratios. 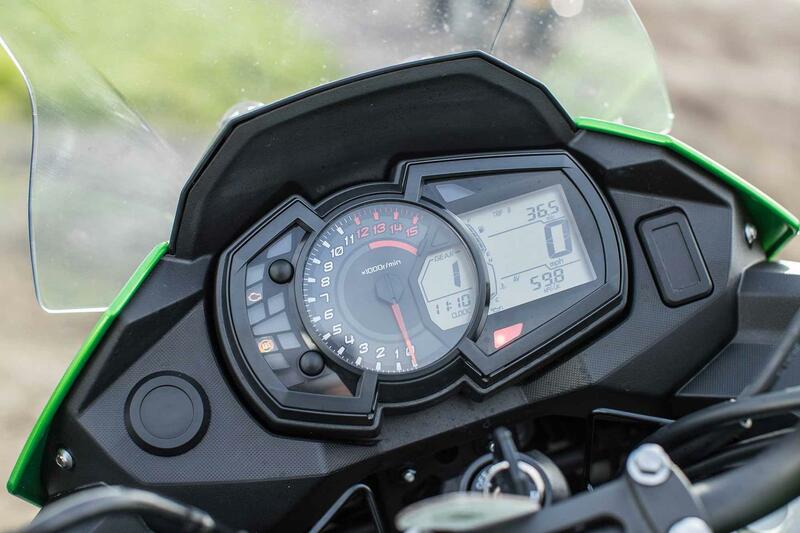 On the Versys-X this makes the bike really revvy and at 60mph the parallel twin is buzzing away at over 7000rpm. Thanks to the secondary balancer shaft there are no irritating vibrations, but it’s not very pleasant as it always feels like the motor is working really hard (I kept checking the gear indicator to see if I was in fifth and not sixth) and that is distracting and annoying. And it is a shame as the rest of the bike is really good. In the third week of 2018, the Federation of European Motorcyclists' Associations (FEMA) issued a recall on bikes produced in 2017. This was because vibrations could cause the socket of the brake/rear light bulb to fall out of the lamp assembly. This, in turn would result in a failure of the rear light, meaning a risk to safety. 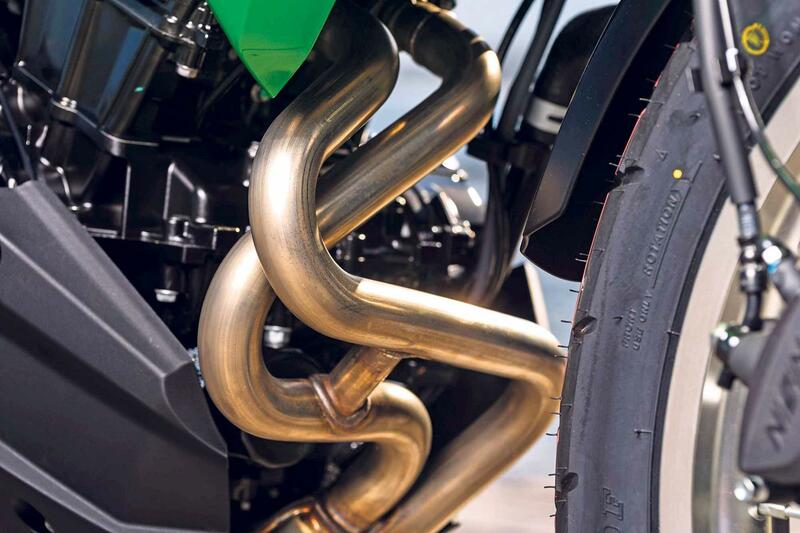 Check with you local Kawasaki dealer to make sure yours has been done. 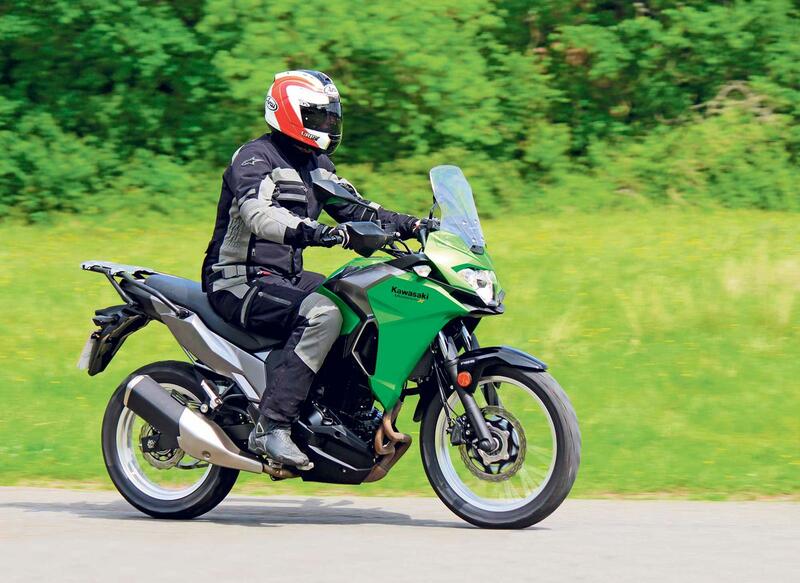 Despite out-pricing it's main rivals of the BMW G310 GS and Suzuki V-Strom 250 at its inception in 2017, the Versys offers a better package than the competition and won our initial group test at the time - helping to justify its price tag. Also, once you begin to spec-up the GS, the prices become very similar. The part-digital clocks show a huge tank range – leaving you to just sit back and enjoy the ride. 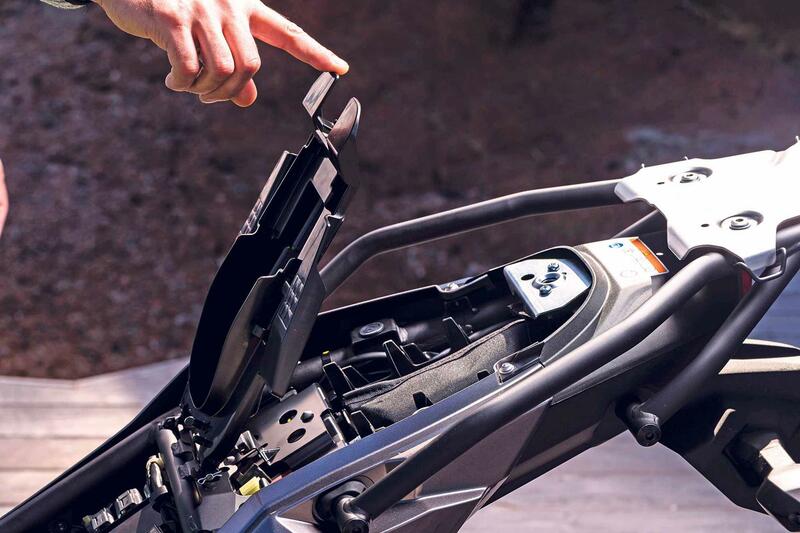 The hand guards and attractive big-bike bodywork provides decent wind protection. 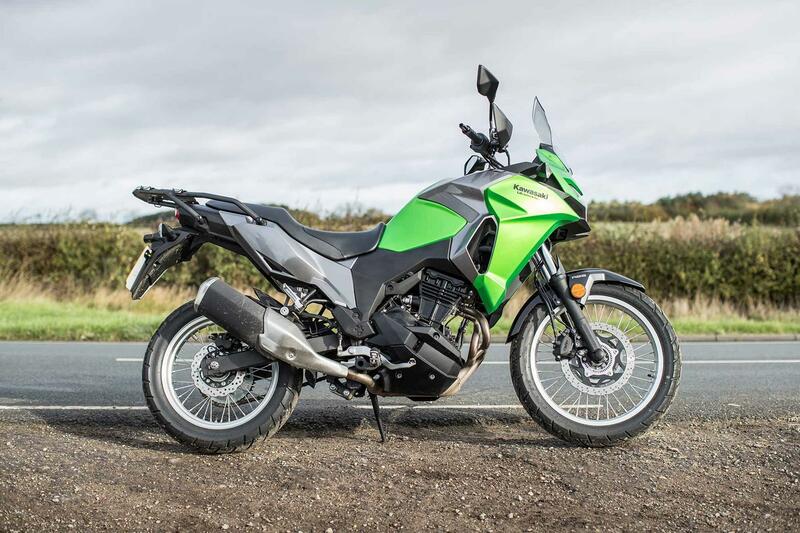 No owners have yet reviewed the KAWASAKI VERSYS-X 300 (2017-on).